Synonyms: Canarium edule, Canarium saphu, Pachylobus edulis, Pachylobus saphu. 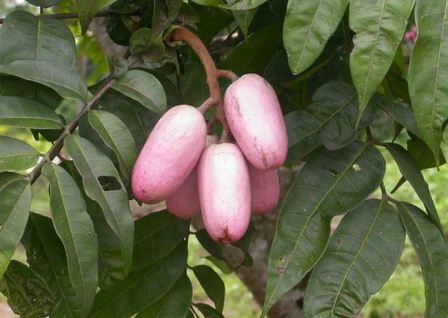 Safou is one of popular minor fruits of tropical Africa. 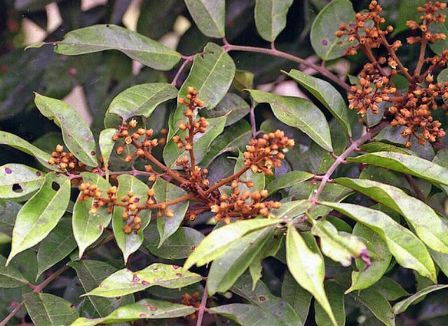 It is planted in farms and gardens in African lowlands of Cameroon, Gabon and the neighbouring countries. 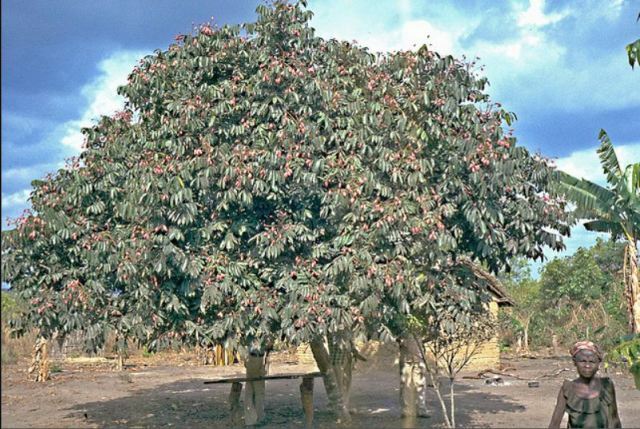 Safou tree, when in forest, can attain a height upto 40 metres. However, when in field, its height does not exceed 12 metres. The trunk is short but the crown is deep and dense. It bears small yellow flowers which are about 5 mm across. 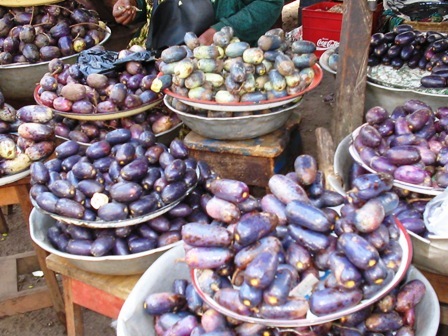 The fruits vary in length from 8 to 12 cm. Edible portion of the fruit is the dark blue pulp present as a 5 mm layer surrounding the stony seed. This pulp is eaten raw or cooked and then consumed like butter. It is oily and has a smell of turpentine oil. This pulp contains 48 % oil, which is edible and rich in vitamins and having a range of amino acids. This oil is not much greasy. It has industrial uses too. The kernel from seeds has 3-4 % protein, is fed to cattle.